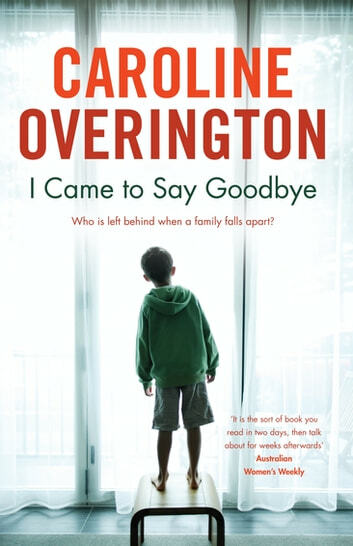 Caroline Overington's bestseller is a heart-breaking, utterly compelling novel of a family ripped apart. It was four o'clock in the morning. A young woman pushed through the hospital doors. Staff would later say they thought the woman was a new mother, returning to her child - and in a way, she was. She walked into the nursery, where a baby girl lay sleeping. The infant didn't wake when the woman placed her gently in the shopping bag she had brought with her. There is CCTV footage of what happened next, and most Australians would have seen it, either on the internet or the news. The woman walked out to the car park, towards an old Corolla. For a moment, she held the child gently against her breast and, with her eyes closed, she smelled her. She then clipped the infant into the car, got in and drove off. That is where the footage ends. It isn't where the story ends, however. It's not even where the story starts. 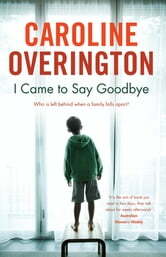 Addictive read , i couldn’t put it down. Style is a bit like Jodi Picoult who is one of my favourite writers. I just loved the way this story unfolded bit by bit, through different perspectives. Tough subject matter presented really well. Very beautifully written in first person, grandfathers perspective, pulls at your heart strings, probably happens more than it should; enlightening!